Manchester City have confirmed that Kevin De Bruyne has suffered a lateral collateral ligament (LCL) lesion in his right knee and will be ruled out for around three months. This is a big blow for the Premier League champions as De Bruyne is one of their most important players. Pep Guardiola has said the Belgium star will be a big miss for City. "For Kevin De Bruyne and his family its hard but we accept it. Human beings have a limit and these things happen. He will be a big miss. Last season, in terms of injuries, was incredible we have best staff in England." 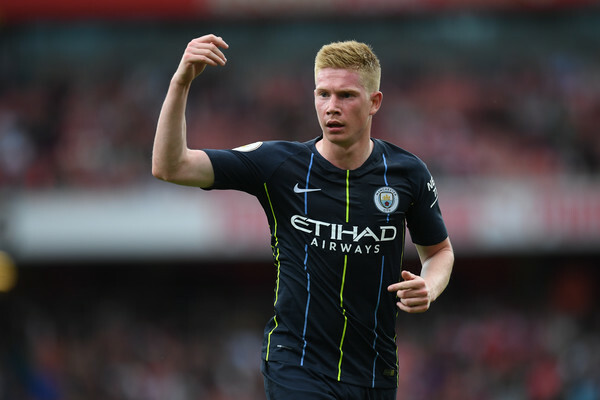 Kevin De Bruyne was a second-half substitute in City's 2-0 win at Arsenal, Manchester City host Huddersfield on Sunday in their next Premier League match.